Gertrud Goldschmidt, known as Gego (1912, Hamburg–1994, Caracas), was one of the most important women artists in Latin America. Her best-known works are the Reticuláreas—net-like spatial installations she created using thin wire and metal in the late 1960s. Gego rejected the term ‘sculpture’ for her three-dimensional works, as sculpture is traditionally defined by mass and volume, whereas she sought the highest degree of transparency and lightness. Her delicate structures and ‘drawings in space’ offer viewers the paradoxical opportunity to look both at and through them. 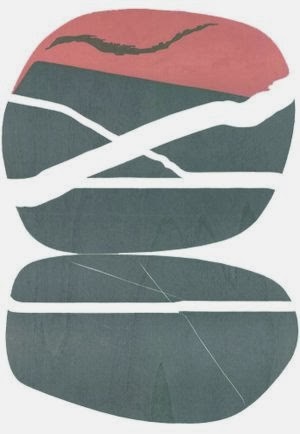 Gego’s enduring interest in the line as an essential element of artistic creation is clearly evident in her numerous works on paper, prints, artist’s books, watercolours and drawings. 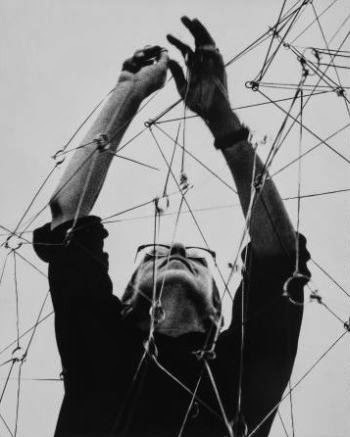 She once described her approach as regarding “line as object to play with.” As a trained architect, Gego had a strong feeling for geometric shapes, volumes and objects in space; this knowledge informed her artistic investigations and enabled her to achieve greater freedom and autonomy of line. Born in Hamburg in 1912, Gego studied architecture under Paul Bonatz at the Technische Hochschule in Stuttgart in the 1930s. In 1939 she emigrated to Venezuela after a brief stay in England. Having settled in Caracas, she initially worked as an architect and furniture designer before devoting her full attention to fine art, by which time she was in her forties. Alongside her artistic practice, Gego taught in the architecture and urban planning department of the Universidad Central de Venezuela, at the Escuela de Artes Plásticas Cristóbal Rojas and at a number of other schools. 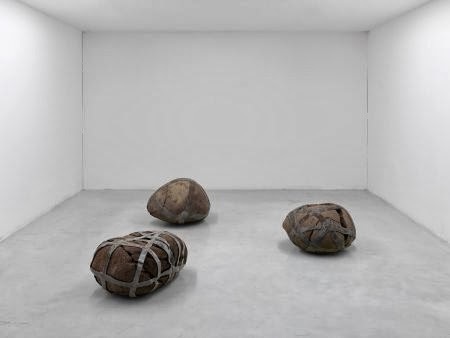 Gego’s revolutionary and experimental approach to line, sculpture and ‘drawing in space’ had a significant influence on countless Latin American artists and has left its mark on contemporary art far beyond Venezuela. She is less familiar to European audiences, however, and Gego. Line as Object—the most extensive German exhibition to date of the artist’s work—is therefore a rare and valuable opportunity to experience Gego’s art at first hand. Around 120 sculptures and drawings from every stage of her almost 40-year career will be presented in the Hamburger Kunsthalle, including the series Dibujo sin papel (Drawing Without Paper), the playful, small-format works titled Bichitos (Small Bugs), the net-like Reticuláreas and the Tejeduras (Weavings) from the latter part of her career. The exhibition includes major loans from the Museum of Fine Arts, Houston (MFAH) and the Museu d’Art Contemporani de Barcelona (MACBA), as well as from a number of private collections and the collection of the Fundación Gego in Caracas, which was founded following the artist’s death in 1994. A collaboration between Hamburger Kunsthalle, Kunstmuseum Stuttgart and Henry Moore Institute, Leeds. Oggetti di scena e figuranti che rimandano ai colossal dell’industria cinematografica romana; il rapporto tra statua e attore, ma anche tra questi e lo sguardo dello spettatore; la storia del cinema e il suo nascosto; le lotte politiche condotte dai lavoratori nel settore della cultura di ieri e di oggi; il mito greco della rinascita dopo la distruzione. Questi i temi e i protagonisti di The Cast, la mostra dedicata a Clemens von Wedemeyer, tra gli artisti più impegnati nel panorama internazionale nella sperimentazione di un nuovo linguaggio che riguarda tanto il tempo quanto lo spazio cinematografico. Clemens von Wedemeyer presenta un film show composto da tre nuovi lavori pensati appositamente per la Galleria 5 del museo (Afterimage; The Beginning. Living Figures Dying e Procession) e un’installazione composta da diverse forme e sculture (Remains: The Myth of Deucalion and Pyrrha). Il titolo The Cast, nella sua definizione in lingua inglese, allude a diversi significati tra i quali la produzione di sculture (casting a form), il processo di selezione degli attori (casting) e il gesto di lanciare (to cast a stone). La mostra nasce dalla complessa ricerca sviluppata da von Wedemeyer nel corso dell’ultimo anno trascorso a Roma e tratta alcuni dei suoi luoghi simbolo, storici e contemporanei, come gli Studios di Cinecittà e il Teatro Valle Occupato. 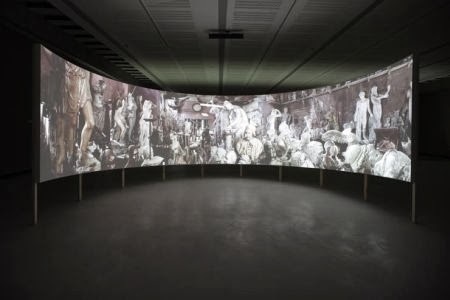 Immagine: Afterimage, 2013, veduta dell'installazione/ Installation view, MAXXI. Photo Matteo Monti. Television existed for a long time before it became commonplace in American homes. Even as cars, jazz, film, and radio heralded the modern age, television haunted the modern imagination. During the 1920s and 1930s, U.S. television was a topic of conversation and speculation. Was it technically feasible? Could it be commercially viable? What would it look like? How might it serve the public interest? And what was its place in the modern future? These questions were not just asked by the American public, but also posed by the people intimately involved in television’s creation. Their answers may have been self-serving, but they were also statements of aspiration. Idealistic imaginations of the medium and its impact on social relations became a de facto plan for moving beyond film and radio into a new era. 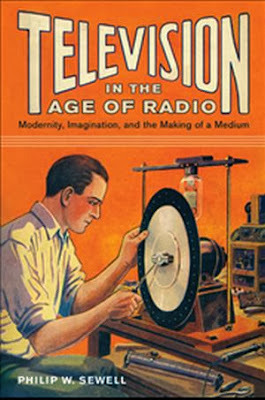 In Television in the Age of Radio, Philip W. Sewell offers a unique account of how television came to be—not just from technical innovations or institutional struggles, but from cultural concerns that were central to the rise of industrial modernity. This book provides sustained investigations of the values of early television amateurs and enthusiasts, the fervors and worries about competing technologies, and the ambitions for programming that together helped mold the medium. PHILIP W. SEWELL is an assistant professor in the Program in Film and Media Studies at Washington University in St. Louis. Rebecca Prime documents the untold story of the American directors, screenwriters, and actors who exiled themselves to Europe as a result of the Hollywood blacklist. During the 1950s and 1960s, these Hollywood émigrés directed, wrote, or starred in almost one hundred European productions, their contributions ranging from crime film masterpieces like Du rififi chez les hommes (1955, Jules Dassin, director) to international blockbusters like The Bridge on the River Kwai (1957, Carl Foreman and Michael Wilson, screenwriters) and acclaimed art films like The Servant (1963, Joseph Losey, director). 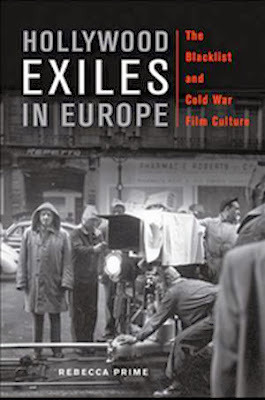 At once a lively portrait of a lesser-known American “lost generation” and an examination of an important transitional moment in European cinema, the book offers a compelling argument for the significance of the blacklisted émigrés to our understanding of postwar American and European cinema and Cold War relations. Prime provides detailed accounts of the production and reception of their European films that clarify the ambivalence with which Hollywood was regarded within postwar European culture. Drawing upon extensive archival research, including previously classified material, Hollywood Exiles in Europe suggests the need to rethink our understanding of the Hollywood blacklist as a purely domestic phenomenon. By shedding new light on European cinema’s changing relationship with Hollywood, the book illuminates the postwar shift from national to transnational cinema. REBECCA PRIME is the Libman Professor of the Humanities and an assistant professor of art at Hood College. Her work has appeared in the edited volumes “Un-American Hollywood: Politics and Film in the Blacklist Era (Rutgers University Press); World Film Locations: Paris; and World Film Locations: Marseilles. 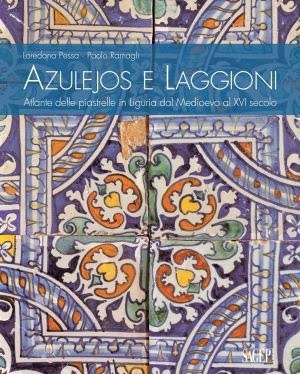 La Liguria ospita un patrimonio artistico suggestivo e poco noto, le piastrelle in ceramica smaltata, azulejos per gli spagnoli, laggioni in Liguria, utilizzate per il rivestimento di pareti e pavimenti di chiese ed edifici privati tra il Medioevo e il XVI secolo. Importate prevalentemente dalla Spagna e in seguito prodotte dalle manifatture locali, queste mattonelle policrome dagli splendidi decori costituiscono una testimonianza importante del legame che univa l’antica Repubblica Genovese alle altre civiltà che si sono sviluppate sulle sponde del Mediterraneo. Espressione di un “dialogo interculturale” di cui la Liguria è stata protagonista per secoli, questi manufatti, che si inseriscono in una vicenda di intensi scambi commerciali e culturali con il mondo islamico, hanno contribuito a conferire al paesaggio urbano locale la sua peculiare fisionomia. Il volume, frutto di anni di studi approfonditi e di una ricerca capillare sul territorio, propone una lettura attenta e minuziosa di questo straordinario corpus di rivestimenti parietali e pavimentali, esaminati secondo diverse chiavi di lettura, dal punto di vista tecnico, materico, storico-artistico e iconologico, sempre in stretta relazione con i contesti architettonici o archeologici di provenienza. Le varie tipologie di piastrelle d´importazione o di produzione locale sono oggetto di una schedatura completa che intende risvegliare l´interesse degli studiosi e del grande pubblico per questo prezioso patrimonio, straordinaria fonte di moduli decorativi di incredibile varietà e attualità, fornendo anche uno strumento utile per la sua salvaguardia da possibili e purtroppo frequenti distruzioni e perdite. Loredana Pessa è conservatore del Museo Luxoro, delle Raccolte Ceramiche e delle Collezioni Tessili dei Musei Civici di Genova. Paolo Ramagli è archeologo e ricercatore; ha lavorato per oltre vent’anni presso l’Istituto Internazionale di Studi Liguri e presso il Museo Archeologico di Savona. The London Group exploded onto the British art scene in 1913 as a radical alternative to the art establishment and in the wake of two modernist exhibiting platforms, Frank Rutter's liberal Allied Artists’ Association and The Camden Town Group, headed by Walter Sickert, whose members the new group absorbed. The first minuted meeting took place on 25 October 1913, and Jacob Epstein is credited with coining the Group's name the following month. The opening of the centenary show coincides closely with these two significant dates. The London Group’s controversial early years reflect the upheavals associated with the introduction of early British modernism and the experimental work of many of its members. The ‘uproar’ which followed Mark Gertler’s exhibition of The Creation of Eve at The London Group’s third show in 1915 lends its name to the Ben Uri show, which showcases 50 works by 50 artists. Wherever possible, Ben Uri has selected the most debated works, whether from within its own collection or outside it. La mostra "Un dipinto come un rebus: la scoperta di Pase Pace (doc. 1594-1617) e i pittori veneziani delle 'Sette Maniere'”, nasce dalla scoperta di una bella pala d’altare custodita nella chiesa della Santissima Trinità di Trevasco, frazione di Nembro (Bergamo), la cui attribuzione da tempo costituiva una sfida per gli studi, anche per il problema identificativo della firma del pittore, siglata sotto forma di un misterioso monogramma. La pala con la Madonna con il Bambino in gloria tra san Giovanni Battista e santa Caterina con due devoti, come dimostrato dagli studi condotti da Amalia Pacia e Giorgio Fossaluzza dell’Università di Verona, costituisce un importante inedito giovanile del pittore veneziano Pase Pace, documentato dal 1594 al 1617. L’opera diviene un punto di riferimento importante nel ristretto catalogo di un artista ancora poco indagato, composto da esempi pittorici distribuiti tra Venezia, il territorio bresciano e di Bergamo, a conferma del costante flusso di opere, idee e uomini che nei secoli passati intercorrevano tra Venezia e i domini della Serenissima, specie nel versante occidentale. I pochi documenti finora editi ci consegnano un Pase Pace quale pittore intimo della famiglia di Paolo Veronese. Probabilmente Pace compì il suo apprendistato all’interno della bottega dei Veronese, attiva anche dopo la morte del grande maestro. Alle opere già note, si aggiungono ora nuove attribuzioni, come il dipinto con la Morte di san Benedetto (Venezia, Gallerie dell’Accademia) e la pala della Madonna in gloria e i santi Michele arcangelo, Lorenzo e Stefano (Mestre, chiesa di San Lorenzo). Restituita alla sua freschezza inventiva, forse di ‘opera prima’, dal complesso restauro eseguito da Antonio Zaccaria, che ha “liberato” la policromia originale dalle numerose e diffuse ridipinture effettuate in passato, la pala di Trevasco conferma nella brillante materia pittorica, nel naturalismo delle forme e nell’intonazione cromatica giocata su toni freddi e note squillanti, la piena adesione di Pace al linguaggio di Paolo Veronese e del suo lascito. Si tratta di una costante quasi invariata anche nella successiva produzione, segnata da una raffinata e quasi meticolosa trascrizione di moduli desunti dalla grande pittura del Veronese, come formulata anche dal fratello Benedetto e dai figli Carletto e Gabriele. La scoperta della pala giovanile di Pase Pace è l’occasione per proporre un affascinante excursus nel ricco patrimonio pittorico di Bergamo e del suo territorio tra fine Cinquecento e inizio Seicento, con un’indagine a tutto campo sulle presenze di artisti veneti o di inclinazioni ‘veneteggianti’ che ha portato a sorprendenti ritrovamenti e a nuove attribuzioni, di cui dà conto Giorgio Fossaluzza nel suo importante contributo in catalogo (Silvana Editoriale). La selezione dei dipinti in mostra, delle collezioni dell’Accademia Carrara, restituisce la varietà di tendenze e di apporti stilistici di artisti veneti contemporanei di Pace, come Maffeo Verona (Nozze mistiche di santa Caterina) e Giovanni Contarini (Nascita di Eva), affiancati da esempi di alcuni esponenti delle così dette “Sette Maniere”, termine coniato dallo storico Marco Boschini (1674) per definire la fase di transizione della pittura veneziana tra la fine del Cinquecento e i primi decenni del Seicento, caratterizzata da una comune ispirazione ai grandi protagonisti del secolo, Tiziano, Tintoretto e Veronese. 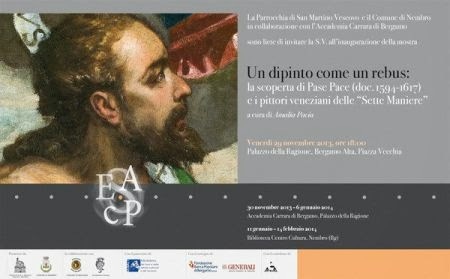 Così, del capofila dei sette pittori, Jacopo Palma il Giovane, si presentano in mostra due straordinari dipinti, la Sacra Famiglia con santa Caterina da Siena e la Maddalena penitente. Si aggiunge Andrea Vicentino, al quale vengono oggi restituite due tele ancora dell’Accademia Carrara, raffiguranti Il Compianto di Cristo, già assegnato alla bottega di Jacopo Bassano, e Il Ritorno del figliol prodigo, esposta in mostra e fino ad oggi ritenuta di scuola veneto-fiamminga. Dopo la tappa al Palazzo della Ragione di Bergamo Alta, dall’11 gennaio al 14 febbraio, la pala di Pase Pace sarà esposta alla Biblioteca Centro Cultura di Nembro, prima di ritornare alla sua collocazione originale. L’histoire de la revue de cinéma Film Culture est unique. Fondée à New York en 1955 par Jonas et Adolfas Mekas, la revue, d’abord orientée vers le cinéma d’auteur, s’impose très vite comme le lieu de débat et d’analyse incontournable de presque tout ce qui compte d’important dans le cinéma expérimental américain. D’abord bimestrielle puis paraissant au gré des aléas financiers, la revue compte au total 79 numéros (dont certains doubles ou triples), de janvier 1955 à l’hiver 1996. Film Culture constitue aujourd’hui un document-source incontournable, mesurant le pouls de l’avant-garde cinématographique, principalement américaine, mais pas seulement, durant deux ou trois décennies. La revue recèle une mine d’informations sur les cinéastes qui créent, les mouvements qui se forment, les idées qui circulent, les films qui sont projetés. Elle accueille aussi les textes des artistes eux-mêmes, qui sont autant de manifestes. Sans parler de l’illustration, parfois dense et très diversifiée, la plupart du temps inédite. 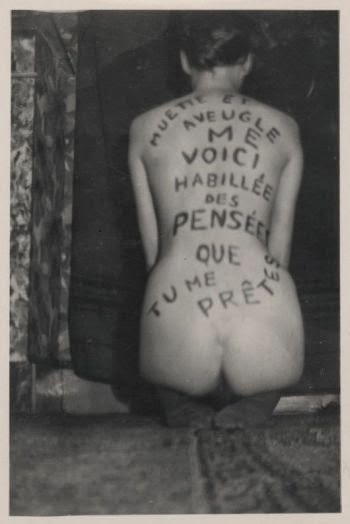 Tout ceci dans une maquette originale, qui a fait de certains numéros des exemplaires de collection (de 1956 à 1963, Jonas Mekas confie la maquette de la revue à Georges Maciunas). La publication contient plusieurs index - Index des auteurs, Index des sujets, Index des titres de films et Index des illustrations, - ainsi que la liste complète des sommaires. L’outil de recherche qui est ici proposé est précédé de deux documents rares. Le premier est le compte-rendu d’une discussion à Columbia University en 2001 entre Jonas Mekas, J. Hoberman, Andrew Sarris et P. Adams Sitney. Le deuxième reprend l’Editorial du numéro 14 de novembre 1957, dans lequel Jonas Mekas, le rédacteur en chef de la revue, plaide pour le renouveau d’un cinéma expérimental en Amérique. L’ouvrage inaugure une nouvelle collection de Paris Expérimental, « Outils / Tools », consacrée à des outils de recherche dans l’histoire du cinéma expérimental. Il sort simultanément à l’édition du Catalogue raisonné des films, vidéos et installations de Jonas Mekas (1962-2012). Né en 1922 en Lituanie, Jonas Mekas a réalisé plus de 80 films, vidéos et installations depuis son arrivée à New York en 1949. Chaque œuvre inventoriée est accompagnée d’un visuel, de la liste des collections publiques et des distributeurs, de la notice technique et d’un ou plusieurs courts textes résumant le contenu de l’oeuvre. Présenté de manière chronologique, le travail de Jonas Mekas est ainsi perceptible en son ensemble, l’ouvrage se présentant à la fois comme un inventaire complet et un outil de recherche dans cette œuvre foisonnante. Films, vidéos, installations audiovisuelles ou sonores sont autant de propositions dans lesquelles s’exprime le « je filmé » du cinéaste et sa célébration du quotidien. Le catalogue raisonné est réalisé et préfacé par Pip Chodorov, l’un des meilleurs connaisseurs de l’œuvre de Jonas Mekas et d’un texte de deux jeunes historiens du cinéma replaçant l’œuvre de Jonas Mekas dans son contexte historique et dans son évolution stylistique. L’ouvrage inaugure une nouvelle collection de Paris Expérimental, « Outils / Tools », consacrée à des outils de recherche dans l’histoire du cinéma expérimental. 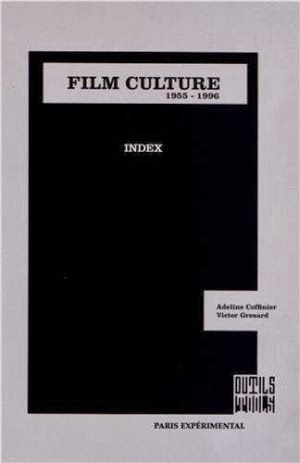 Il sort simultanément à l’édition d’un Index de la revue Film Culture, revue fondée et dirigée par Jonas Mekas à New York de 1955 à 1996. Le catalogue raisonné, qui reçoit le soutien du Centre national des arts plastiques, est publié à l’occasion des 90 ans de l’artiste et de l’intégrale de son œuvre, présentée à l’automne au Centre Pompidou. Una lettura critica dell'iconografia dell'Abbazia e del Borgo di San Fruttuoso dalle prime carte storiche ai pittori che operarono a cavallo tra otto e novecento, dalle foto di viaggio dei primi del novecento alle immagini di Alberto Girani. 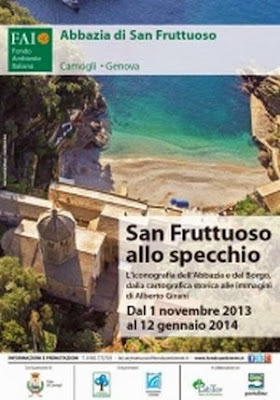 Nel corso dei secoli l'iconografia di San Fruttuoso è mutata a seconda delle esigenze che doveva comunicare: se la cartografia storica individuava i presidi sul territorio, quali mulini o fortificazioni, i pittori liguri tra otto e novecento ci regalavano le prime "immagini" dell'Abbazia e del Borgo, fissate poi da alcuni famosi fotografi di viaggio stranieri nei primi del novecento e dalle cartoline storiche, strumenti utilizzati per esportare la bellezza delle località turistiche che ancora oggi sopravvivono. Le immagini utilizzate per realizzare manifesti, copertine, libri, supporti multimediali e mostre diventano una proposta autonoma che valorizza il lavoro trentennale dell'autore Alberto Girani e le proposte culturali del FAI in collaborazione con l'Associazione Culturale Echi di Liguria. Depuis qu’en 1937, brisant ses lunettes, il en rassemble les branches autour d’un seul verre créant L’introuvable, l’une de ses œuvres les plus connues, Marcel Mariën aura exaucé en une très large part le vœu de son ami Paul Nougé – la tête pensante du surréalisme en Belgique – qui réclamait la création de «sentiments nouveaux». Réalisant nombre de collages, de photographies, d’assemblages suscitant tour à tour le rire, le scandale, le plaisir ou l’émotion poétique, Mariën aura su tirer de l’image et de l’objet des possibilités jusque-là insoupçonnées. Né à Anvers d’un père flamand et d’une mère wallonne (et vice-versa, précisait-il), Mariën développa dès ses premiers contacts avec René Magritte et le groupe surréaliste de Bruxelles une activité d’éditeur, de photographe, d’assemblagiste, de poète, de cinéaste et de collagiste, refusant délibérément de privilégier une discipline ou un matériau, seul comptant pour lui l’efficacité du propos, hors de toute préoccupation esthétique, de toute concession formelle. Témoignant de la vigueur de la seconde génération du surréalisme, Marcel Mariën en incarna durant plus de cinquante ans la pérennité et en fut à la fois l’acteur et l’historien, le juge et le témoin à charge, le dynamiteur également, pourfendant les imposteurs et les usurpateurs. Ami intime de Nougé, dont il fit obstinément connaître les écrits et reconnaître le rôle capital, et de Magritte, prolongeant leur démarche et leur esprit, il se brouillera cependant avec le peintre en publiant le tract Grande Baisse confectionné en 1962 avec son complice Leo Dohmen. En 1959, avec des moyens limités et le concours de bénévoles, Mariën réalise le seul film belge authentiquement surréaliste L’Imitation du cinéma, qui sera censuré en Belgique et interdit en France. Il séjournera ensuite aux Etats-Unis et en Chine communiste, dénonçant à son retour le caractère totalitaire du régime maoïste. Connaissant en 1967 sa première exposition personnelle à Bruxelles, la première d’une longue série, il poursuivra son activité au travers de la revue Les Lèvres nues fondée en 1954 et des éditions du même nom, éditant, outre ses propres créations, les textes essentiels du surréalisme en Belgique, en révélant toute la singularité. Marcel Mariën est décédé il y a vingt ans, le 19 septembre 1993. Loin de se vouloir rétrospective, l’exposition du Musée de la Photographie de la Fédération Wallonie-Bruxelles à Charleroi abordera les diverses pratiques de Marcel Mariën, faisant la part belle aux photographies dont les plus anciennes sont demeurées longtemps inconnues. L’exposition est accompagnée d’un ouvrage «Marcel Mariën, Le passager clandestin» écrit par Xavier Canonne, directeur du Musée de la Photographie et commissaire de l’exposition, qui fut un intime de Marcel Mariën. L’ouvrage, paru aux éditions Pandora à Anvers, comporte 460 pages reprenant plus de 700 illustrations et est disponible en deux versions, française et anglaise. Un percorso alla ricerca di una nuova grammatica del fare scultura. Un’esigenza necessaria di mettere tutto, sempre, in discussione. Decostruire per ricostruire: ovvero Faredisfarevedere. Una vocazione del fare che oltrepassa la dimensione compiuta e immutabile dell’oggetto per esplorare il divenire; che esperisce una nuova situazione scultorea, la quale scorre accanto all’artista, nello stesso spazio dell’esistenza. Nei due decenni fondativi della sua ricerca – gli anni Sessanta e Settanta -, Icaro ha oltrepassato territori – in transito, negli anni Sessanta, da Torino a Roma, Da New York a Genova, e più stabile, negli anni Settanta, oltreoceano, a Woodbridge nel Connecticut con permanenze in Italia ogni anno, nel periodo estivo. Ha esplorato materiali; ha forzato i confini del linguaggio della scultura sino a raggiungere il grado zero per rifondare una nuova grammatica del fare […]. Paolo Icaro Chissotti nasce a Torino nel 1936. Studia musica e nel 1955 si iscrive alla Facoltà di Lettere presso l’Università di Torino. Nel 1958, abbandonati gli studi universitari, comincia a praticare la scultura nello studio di Umberto Mastroianni. Nel 1960 si trasferisce a Roma, dove nel 1962 ha la sua prima mostra personale alla Galleria Schneider. Nel 1964 ottiene il premio del Ministero per il Commercio con l’Estero alla III Biennale d’Arte della Ceramica di Gubbio. Nel 1965 è invitato alla IX Quadriennale di Roma. Nel 1966 si trasferisce a New York, dove risiede sino al 1968. Oltreoceano nascono le Forme di spazio (1967), ribattezzate subito dopo Gabbie, strutture in profilati metallici in cui la scultura da occupare lo spazio si fa luogo, origine di spazio. 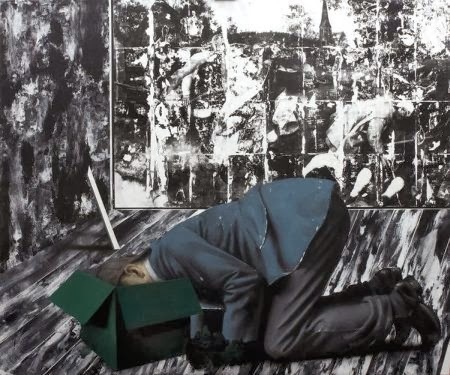 Nel corso degli anni Settanta e Ottanta sono numerose le mostre personali in importanti gallerie europee e americane fra le quali si ricordano: Verna, Zurigo (1972, 1974, 1978, 1985); Françoise Lambert, Milano (1976); Marilena Bonomo, Bari (1976); Massimo Minini, Brescia (1977, 1982, 1989); Paul Maenz, Colonia (1978), Hal Bromm, New York (1978, 1979); Jack Tilton, New York (1985, 1986, 1989). 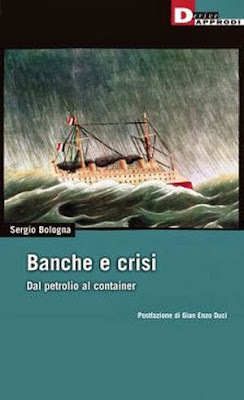 Nel 2006 è presente alla rassegna Museo Museo Museo. 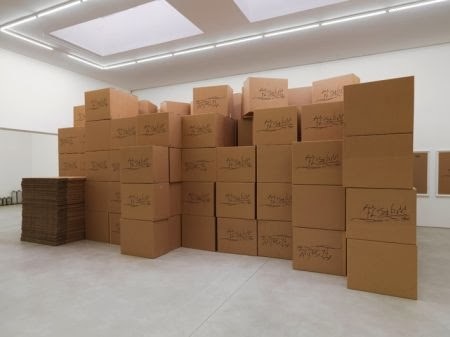 1998-2006 Duecentocinquanta nuove opere per la GAM, curata da Pier Giovanni Castagnoli presso Torino Esposizioni, dove viene esposto il nucleo di opere acquisito dalla Galleria d’Arte Moderna e Contemporanea di Torino nel 2005. Nell’ottobre 2007 è invitato da Luigi Ballerini a realizzare un intervento permanente per l’Italian Department della UCLA – University of California a Los Angeles. Prende parte a numerose mostre collettive, fra cui Time & Place: Milano – Torino. 1958-1968, a cura di Luca Massimo Barbero (2008) e Italics. Arte italiana fra tradizione e rivoluzione 1968-2008, a cura di Francesco Bonami (2008-2009). Oggi vive a lavora a Tavullia, in provincia di Pesaro. Che il capitalismo non sia affatto onnisciente e in grado di autoregolarsi è, almeno dalla crisi iniziata nel 2007, sotto gli occhi di tutti. 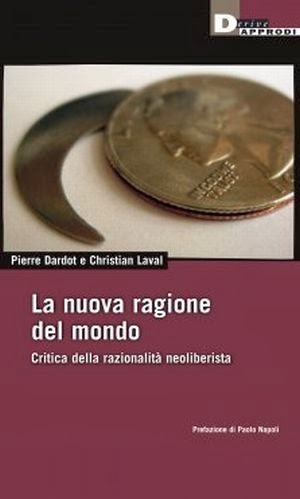 Questo libro dimostra, però, che il caos economico, finanziario e politico di cui siamo testimoni nell’ultimo decennio deriva da una precisa razionalità, sotterranea, diffusa e globale. Si tratta della razionalità del neoliberismo, che oggi arriva a coincidere con quella del capitalismo stesso. Il libro di Pierre Dardot e Christian Laval – ormai opera di riferimento nel dibattito internazionale – è la prima esaustiva analisi del neoliberismo inteso come razionalità economica, politica e di governo. Con un approccio a cavallo tra diverse discipline (economia politica, filosofia, sociologia del lavoro) i due autori ricostruiscono le premesse teoriche delle dottrine economiche e politiche liberali ripercorrendo le molteplici strade intraprese dal liberalismo per imporsi come vera e propria «ragione del mondo». Nell’erigere la concorrenza a norma universale dei comportamenti, nel fagocitare ogni ambito dell’esistenza umana, del produrre nuove dinamiche di assoggettamento, la razionalità neoliberista finisce con l’erodere le premesse della stessa democrazia. Per questo, solo la comprensione e l’attenta analisi di questa specifica razionalità – dai suoi discorsi sulla libertà individuale alle sue teorie sull’autonomia dei mercati, dalle sue pratiche di controllo a suoi dispositivi di governo dell’individuo attraverso il debito – può consentire di aprire una strada per un altro avvenire. Prima della crisi finanziaria del 2008 è difficile trovare un evento che abbia inciso sugli assetti del mercato mondiale in modo traumatico quanto il cosiddetto «shock petrolifero» del 1973. Il costo della fonte energetica più diffusa, il petrolio, è schizzato in alto non per giochi di Borsa ma per una decisione politica dei paesi produttori. I due primi saggi che compongono questo libro si collocano in quel contesto: uno ricostruisce le vicende che hanno portato alle decisioni dei paesi produttori di petrolio di costituire un cartello unitario, mentre l’altro riscopre alcuni scritti di Karl Marx che consentono di seguire la genesi delle sue teorie della crisi e delle sue teorie sul denaro e il credito. Oggi, dopo la crisi dei mutui subprime del 2008, il pensiero marxiano, qui analizzato, rivela una sorprendente attualità, confermando ancora una volta la prodigiosa capacità del suo autore di decodificare i meccanismi del mercato. Completa il libro un testo sulla crisi di un settore specifico dei servizi: quello della navigazione di linea delle navi portacontainer, che rappresenta uno dei veicoli principali della globalizzazione. Dagli anni Settanta a oggi, la riflessione di Sergio Bologna rappresenta il tentativo di fornire una lettura audace delle trasformazioni e delle crisi del capitalismo contemporaneo, attingendo tanto al pensiero politico quanto alla sua propria attività di consulente e studioso nel campo della logistica e del trasporto merci. 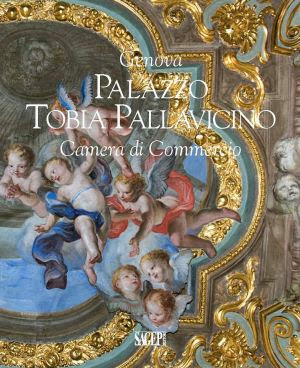 Il Palazzo di Tobia Pallavicino è il secondo edificio che a partire da piazza Fontane Marose si allinea sul lato sinistro di via Garibaldi, la sua storia iniziò attorno alla metà del Cinquecento per volontà del magnifico Tobia Pallavicino ricco patrizio genovese commerciante in allume e fu profondamente legata, almeno in un primo tempo, alla realizzazione del nuovo asse stradale di Strada Nuova. Il palazzo venne costruito sotto la direzione dell’architetto Giambattista Castello detto il Bergamasco e nel 1704 fu acquistato da Giacomo Filippo Carrega che con il figlio Giambattista diedeil via a lavori di ampliamento e affidò la decorazione a Lorenzo De Ferrari. Il palazzo è inserito nella lista tra i 42palazzi iscritti ai Rolli di Genova divenuti nel 2006 Patrimonio dell’umanità dall’UNESCO. Oggi ospita la sede dellaCamera di Commercio Industria e Artigianato di Genova, a cui si devono i numerosi restauri, gli ultimi risalenti al2004, anno in cui Genova è stata Capitale Europea della Cultura. Enfant terrible de l’art contemporain scandinave, Matias Faldbakken est encore peu connu en France. Il a représenté la Norvège à la Biennale de Venise en 2005, et son oeuvre a bénéficié d’une première rétrospective – Schocked into Abstraction – au Musée Nationale des Beaux-Arts d’Oslo en 2009. C’est d’abord en tant qu’écrivain – sous le pseudonyme d’Abo Rasul – que Faldbakken a fait sensation. L’humour acide et provocateur de sa trilogie à succès– Trilogie de la Mysanthropie Scandinave composée de Macht und Rebel, Coka Hola Company et Unfun – a suscité de nombreuses réactions, admiratives et choquées, en Norvège aussi bien qu’en Allemagne où elle a été adaptée au théâtre. Pornographie, anarchie, racisme, désespoir, la trilogie se caractérise par une approche frontale qui se retrouve dans l’œuvre plastique de Faldbakken, même si ce dernier insiste pour maintenir une frontière étanche entre ses deux activités. Les premières œuvres de Faldbakken citent volontiers des gestes associés à ceux que la société identifient comme des menaces : terroristes, drogués, graffeurs…Carcasses de voitures brûlées, accumulations de bouteilles d’alcool, murs de carrelage aux graffitis effacés composent un paysage désolé dans lequel viennent se poser quelques images trouvées sur internet, quelques toiles ou panneaux sur lesquels Faldbakken tantôt pose du ruban adhésif, tantôt vide une bombe de peinture. En multipliant les gestes de destruction ou d’abandon, en utilisant leur frontalité tout en assumant leur esthétisation, Faldbakken parvient à exprimer « la volonté de ne rien exprimer », à maintenir un équilibre qui sauve son œuvre de la naïveté comme du cynisme tout en acceptant de s’y exposer. A ces œuvres qui continuent à se référer à la peinture et à la sculpture même de manière très détournée, Faldbakken ajoute des interventions spécifiques. A la dernière Documenta, il avait simplement jeté au sol plusieurs rayonnages de la bibliothèque municipale. A la Power Station de Dallas, il a recouvert le sol de douilles de revolver. A Kassel, il a vidé les extincteurs dans une des salles de l’exposition souillant ses œuvres d’un résidu grisâtre. A Oslo, il a suspendu la tête en bas des œuvres des sculpteurs norvégiens modernes les plus célèbres, de Vigeland à Haukeland. Ces dernières années, l’artiste a substitué aux références directes à la sous-culture qui caractérisaient le début de son œuvre, des références plus neutres à des objets quotidiens et universels : ruban adhésif, sacs plastiques, boites en carton, armoires en métal, frigidaires, pots d’échappement et sangles sont désormais ses principaux outils de composition. Soudés, compressés, ou découpés, ces matériaux sans intérêt lui permettent de produire des expositions partout dans le monde, en fonction des lieux et des réalités qui leur sont associées. C’est à partir de cette économie que l’exposition du Consortium s’est constituée. A partir de l’idée d’une rétrospective quasiment sans transport, et sans prêt, entièrement réalisée à partir de « gestes » rassemblés. Le Musée des Beaux-Arts de Dijon a prêté une sculpture d’Henri Bouchard, Le Faucheur, qui subira le même traitement que ses consoeurs norvégiennes. Une grande installation de carrelage, des interventions sur des armoires et des frigidaires seront réalisées pendant le montage de l’exposition. Une vidéo, des cartons et des sacs plastiques collés, encadrés ou jetés, une nouvelle sculpture en référence à Munch, des pots d’échappement découpés seront présentés en alternance avec une partie plus narrative et rétrospective composée d’images, elles empruntées à des collections privées. Cette « anti » rétrospective permettra de se confronter à l’expérience physique que provoque l’œuvre de Faldbakken en même tant qu’elle tentera de montrer comment l’artiste s’attaque aux fondements critiques que la modernité a assigné à l’art pour ouvrir d’autres négociations entre l’art, l’artiste et la société qu’ils composent et à laquelle ils appartiennent. 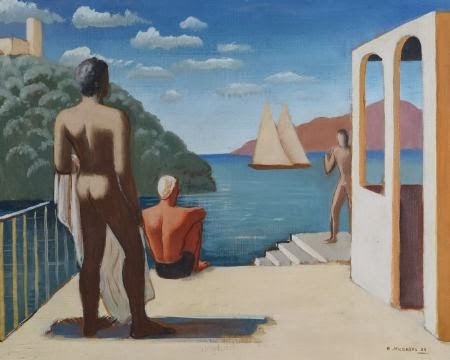 Nella “vecchia” sede de Le Muse (Le Muse1), in Corso Italia 21, dal 26 dicembre al 6 gennaio, i riflettori saranno accesi su un artista decisamente molto interessante: Ruggero Alfredo Michahelles in arte RAM (1898 – 1976), pittore e cartellonista, protagonista del futurismo toscano, poi tra Les italiens a Parigi, quindi nuovamente in Italia. “La realtà metafisica”, sottotitolo della mostra, indica la precisa scelta di opere che la Società Belle Arti ha selezionato per una monografica che per molti costituisce una vera e propria rivelazione. L’esposizione è curata dal professor Giuliano Matteucci e si svolge in contemoranea con“Il linguaggio della realtà” che riunisce “Venti capolavori dell’Ottocento italiano” allestita nella nuova sede de Le Muse (Le Muse2) in Piazza Franceschi 6. Pittore, scultore, cartellonista, scenografo, illustratore, Ruggero Alfredo Michahelles, conosciuto con lo pseudonimo di RAM, insieme al brillante e più noto fratello maggiore Ernesto, in arte Thayhat, famoso inventore del rivoluzionario abito tuta, rappresenta ancora oggi un caso singolare di artista polimorfo difficilmente etichettabile se non prendendo a prestito la definizione che Alberto Savinio coniò per se stesso, di «centrale creativa». Proveniente da un'agiata famiglia cosmopolita impiantata a Firenze dalla metà dell'Ottocento, Ram era cresciuto in un ambiente aggiornato e internazionale, esordendo giovanissimo come illustratore, poi premiato nel 1924 come scenografo per l'allestimento di Aida, realizzato insieme a Thayaht. In realtà il suo apparente eclettismo nasconde la ricerca di una bellezza moderna, spregiudicatamente attinta da tutti gli aspetti della vita, compresi moda e industria (da cui le significative tangenze con il Futurismo), e perseguita stilisticamente attraverso una progressiva decantazione visiva nella struttura dell'immagine e della luce. Questa intenzione si annuncia già in Composizione di nudi, qui presentata, i cui volumi torniti sembrano ispirarsi al raffinato antinaturalismo degli autori del Seicento fiorentino resi noti dalla grande mostra del '22. Dal 1930 si compie una vera e propria svolta della ricerca pittorica di RAM, caratterizzata per il decennio a venire, da una particolare e personale esperienza “neometafisica” maturata durante i frequenti soggiorni parigini. L'artista appare molto vicino agli «Italiens de Paris» -soprattutto a Magnelli, Tozzi, Paresce, e de Chirico- .con i quali condivide molti aspetti della ricerca visiva. A Parigi, nella galleria «Le Niveau», terrà nel 1936 una memorabile personale introdotta da uno scritto di de Chirico. I dipinti oggi presentati in mostra, riferibili in gran parte a quelli esposti o comunque eseguiti nel medesimo giro d'anni, indicano compiutamente il ventaglio delle predilezioni poetico-espressive dell'artista: vi si trova il tema dell'isola senza ombre (L'ile sans ombres) che sembra rovesciare attualizzandolo con riferimenti all'amato razionalismo architettonico, il significato boeckliniano de L'isola dei morti, e costruendo al suo posto un'edenica isola dei vivi. Identica tensione appare nel rapporto figure/architetture/luce de Gli sposi, ambientato sull'arenile abbagliante di Viareggio. In altre opere, come ne Le mannequins senza volto sulla riva del mare, il tono si fa sottilmente intrigante ed enigmatico, fino a raggiungere l'inquietudine in Cataclysme o in Bouquet prehistorique. Dove l'evocazione di rovine di radice romantica si tinge del visionario riferimento al paesaggio dell'epoca terziaria - come in Savinio - ma anche dell'immaginazione di un ipotetico futuro in assenza dell'uomo, ormai destituito dal ruolo di protagonista assoluto. 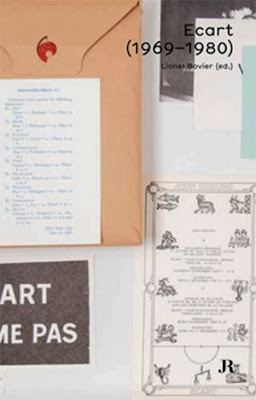 John Armleder, Fluxus et le mouvement genevois Ecart : une enquête sur une période de l'art suisse et européen particulièrement foisonnante et provocante. Ce livre est consacré aux premiers travaux de la période Fluxus de John Armleder et au groupe Ecart, qu'il a fondé en 1969 avec Patrick Lucchini and Claude Rychner. Une activité foisonnante, incluant aussi des festivals de performance, qui vaut aujourd'hui à Ecart d'être considéré comme l'un des groupes et des espaces alternatifs les plus importants d'Europe. Un livre pour défaire le régime esthétique de l'image, en vue d'une nouvelle pensée diagrammatique, après Deleuze et Guattari, entre art et philosophie : un ouvrage introductif et spéculatif sans équivalent qui, partant de la rupture opérée par Matisse et Duchamp avec la phénoménologie picturale de l'image esthétique, constitue une archéologie de l'art contemporain qui passe par Daniel Buren, Gordon Matta-Clark, Günter Brus et le néoconcrétisme brésilien. 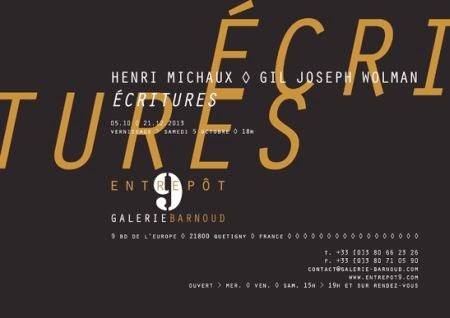 La galerie Barnoud présente Écritures, un ensemble d’œuvres de Henri Michaux (1899, Namur - 1984, Paris) et Gil Joseph Wolman (1929 - 1995, Paris). À la fois poètes, écrivains et plasticiens, et bien qu’appartenant à deux générations différentes, tous deux ont en commun le goût de l’expérimentation d’une autre forme de pensée qui détermine toutes leurs activités. Encres, dessins, collages se situent à la frontière entre arts graphiques et écriture. Henri Michaux, peintre et poète, entendait offrir à son public une immersion dans son univers intérieur : ses émotions, ses métamorphoses successives. Ainsi, dans “Dessiner l'écoulement du temps“, extrait de Passages, repris dans le recueil L'espace du dedans. Pages choisies 1927-1959 (ed. Gallimard, 1966), il explique vouloir « dessiner la conscience d’exister et l’écoulement du temps. Comme on se tâte le pouls. Ou encore, en plus restreint, ce qui apparaît lorsque, le soir venu, repasse (en plus court et en sourdine) le film impressionnant qui a subi le jour ». Marquée par l’inventivité artistique foisonnante dont ses aînés avaient fait preuve au début du XXe siècle, son œuvre graphique témoigne d’une volonté d’éloignement de « l’encombrante réalité » pour mieux explorer l’inconscient, dans la lignée des Surréalistes. Michaux laisse aller sa main « dans le désordre, dans la discordance et le gâchis, le mal et le sens dessus dessous, sans malice, sans retour en arrière, sans reprise, innocemment » (H.M., Émergences-résurgences, ed. Albert Skira, Genève, 1972). Il privilégie les matières fluides telles que l’aquarelle ou l’encre pour une exécution rapide. Les taches, signes étranges ou silhouettes indéfinies apparaissant dans ses œuvres sont parfois le fruit de son recours à des produits hallucinogènes (à partir de 1954-55), expérimentés dans le but de lui permettre de livrer d’emblée ses états mentaux, à la manière des peintres fous de l’Art Brut, sans autocensure, de la façon la plus spontanée possible. Il en résulte des tableaux atemporels, pour certains proches de la calligraphie (à laquelle il a dû être initié lors de ses nombreux voyages), ou bien montrant de surprenantes plantes primitives ou cellules élémentaires, qu’il considère comme « l’alphabet de la vie » (H.M., Vents et Poussières, ed. Karl Flinker, 1962). En effet, de plus en plus peintre et de moins en moins poète, Michaux chercha tout au long de sa vie un moyen de communication universel, et inventa une sorte d’« espéranto lyrique » (selon l’expression de René Bertelé). 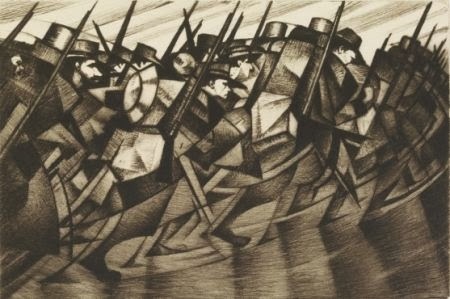 Maniant aussi bien la poésie, la peinture, que le cinéma, Gil Joseph Wolman fait partie des pionniers du Lettrisme, mouvement artistique émergé au début des années cinquante, avec pour figure de proue Guy Debord. Pour les Lettristes, la lettre est l’élément fondamental de toute création poétique ou artistique ; la lettre en elle-même, et non le mot. Comme Wolman l’écrira plus tard en couverture de son journal Duhring Duhring (ed. Inconnues, 1979) : « Nous étions contre le pouvoir des mots. Contre le pouvoir ». Cet ouvrage est en effet constitué de milliers de visages aux yeux barrés par un mot ("anarchie", "préjugés", "raison", "critique", "action", etc). Orientant de manière trop réductrice nos pensées, le langage codifié tel que pratiqué communément est considéré par Wolman et Debord comme dépassé. Ce faisant, ils se placent en droite ligne à la suite d’Isidore Isou, l’auteur du Manifeste de la poésie lettriste (1942), qui écrit dans Introduction à une nouvelle poésie et à une nouvelle musique (ed. Gallimard, 1947) : « Les lettres de derrière les mots offraient les onomatopées primaires. Les mots d’avant nos mots devenaient les mécaniques (les données communes) d’un art neuf ; les signes de derrière nos signes nous redévoilaient la formation hiéroglyphique de notre écriture et se transformaient en métagraphique ». Le "détournement", en tant que bouleversement bénéfique, est la technique privilégiée par les Lettristes. À la fin des années cinquante, Guy Debord décide de poursuivre l’aventure sans Gil J. Wolman, et fonde l’Internationale situationniste. Cela ne freine en rien Wolman. Dans un contexte riche d’idées nouvelles dans les domaines des arts plastiques, des arts sonores et de la littérature, qui questionnent chacun avec leurs propres moyens les liens entre écriture et image ("cut-up" aux États-Unis, Nouveau roman et Nouvelle Vague en France), Wolman invente "l’art scotch" : au début des années soixante, il prélève avec du ruban adhésif des fragments de textes et d’images pour les reporter sur un nouveau support. Les évènements faisant les gros titres des journaux se retrouvent juxtaposés ou superposés. La rigueur des caractères d’imprimerie est bousculée, l’arrachage-recollage occasionnant des distorsions qui perturbent leur lecture et leur donnent le statut d’images. Quant aux photos, celles-ci perdent aussi leur vocation illustrative originelle. En privant ces éléments de leur contexte et en les rapprochant les uns des autres de manière artificielle, Wolman crée des compositions qui ouvrent de nouvelles perspectives narratives souvent teintées d’humour, voire de subversion. Exposition organisée en collaboration avec la Galerie Lelong, Paris, et Seconde Modernité, Levallois-Perret. La splendida tavola firmata da Paolo Bontulli fu realizzata nel 1507 per la chiesa di San Giacomo Maggiore di Potenza Picena (MC) dove è sempre stata collocata sull’altare maggiore. Il recente crollo parziale della volta della chiesa ha imposto la rimozione dell’opera, che non ha fortunatamente subito danni. In attesa di trovare una nuova sistemazione a Potenza Picena, l’opera viene momentaneamente ospitata in una Sala della Galleria Nazionale delle Marche a Palazzo Ducale di Urbino, inserita nel percorso che illustra le scuole pittoriche del Rinascimento marchigiano. 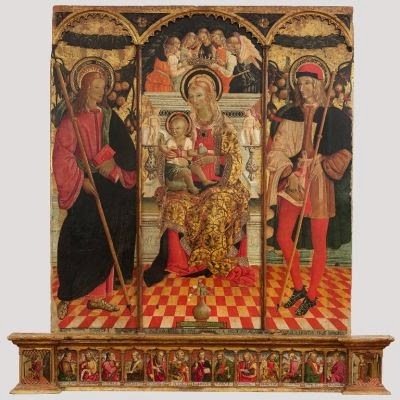 Ben conservato, il trittico raffigurante la Vergine col Bambino in trono e i santi Giacomo e Rocco costituisce il capolavoro di questo petit maître, pressoché sconosciuto, del primo Cinquecento nelle Marche, originario di Percanestro, una località nel circondario di Serravalle di Chienti nell’alto maceratese. La preziosa pala d’altare è corredata dalla predella, conservata nella sua integrità e costituita da tavolette raffiguranti il Redentore benedicente al centro, fiancheggiato dalle mezze figure dei dodici Apostoli, tutti connotati da una vivace caratterizzazione di mimica e di fisionomia. Chiudono ai lati la predella due scomparti con l’Arcangelo Gabriele e la Vergine annunciata. Questi ultimi pannelli sporgono lateralmente rispetto alla larghezza della grande tavola soprastante lasciando supporre la presenza in origine di pilastrini laterali andati perduti. Stessa sorte deve aver subito la lunetta apicale che, secondo lo schema consueto delle pale d’altare di quel periodo, doveva probabilmente costituire la parte superiore dell’insieme e rappresentare forse una Pietà o una Crocifissione. Non sappiamo quando andarono smarrite queste parti dell’opera insieme a gran parte della cornice originaria; nella sistemazione attuale nella chiesa, risalente forse ai primi del Novecento, furono comunque sostituite da colonnine laterali e da una cimasa in muratura e stucco. L’opera documenta l’aspetto reale della personalità artistica di Paolo Bontulli e le radici della sua cultura. Nel dipinto si avverte un’impronta nettamente crivellesca, declinata con i limiti imposti dai mezzi del Bontulli, ma, non meno essenziale ed evidente, risulta il riflesso della pittura sanseverinate del tardo Quattrocento soprattutto nell’intonazione espressiva delle figure. L’opera di artisti quali Ludovico Urbani e Lorenzo d’Alessandro doveva essere ben presente al pittore di Percanestro. Non c’è qui spazio per ampliare il campo dei confronti come una puntuale analisi della tavola renderebbe possibile. Ma comunque la resa formale del dipinto è connotata da un accento personalissimo, rustico ma non incolto, il cui portato più interessante e curioso è rappresentato dal trono della Vergine, complessa macchina marmorea di ispirazione classica che costituisce il fulcro dell’architettura interna dell’intera composizione e denota un atteggiamento estrosamente accumulatorio, ancora legato ai primi del Cinquecento a quella sfera di “Rinascimento-goticizzato”, che di lì a poco sarà destinato a scomparire definitivamente. 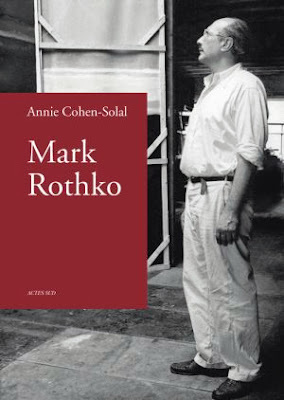 Pendant l’année 2011, Mark Rothko (1903-1970) devint le héros de Red, une pièce de théâtre à succès sur Broadway qui gagna six Tony Awards, tandis que, dans les maisons de ventes aux enchères, la cote de ses tableaux n’en finissait pas de monter, dépassant celle de ses collègues américains de la même période – Pollock, de Kooning, Newman, Still. Quant aux expositions de ses oeuvres, elles circulent dans les musées du monde entier, attirant un public de plus en plus enthousiaste. Né Marcus Rotkovitch à Dvinsk, dans l’Empire russe, il émigre à l’âge de dix ans aux États-Unis, emportant avec lui son éducation talmudique comme ses souvenirs des pogroms et des persécutions de son enfance. 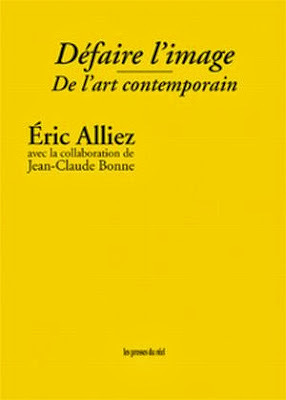 Il a tout juste trente ans lorsqu’on lui offre sa première exposition individuelle et, dès les années 1950, il est célébré au MoMA, à l’Art Institute de Chicago, ainsi que dans les plus grands musées européens. Alors que le judaïsme n’a produit que très peu d’artistes plasticiens jusqu’au xxe siècle, l’héritage laissé par Rothko éclate sans conteste aujourd’hui. Son oeuvre la plus aboutie est sans aucun doute la chapelle Rothko, un lieu de méditation oecuménique à Houston, Texas. Dans ce livre, Annie Cohen-Solal dévoile la trajectoire de cet artiste majeur qui fut également un érudit, un intellectuel, un éducateur et, bien sûr, un passeur, dont la dimension spirituelle reste ancrée dans la complexité et la richesse de sa propre généalogie. Cet ouvrage constitue un véritable événement pour les cinéphiles et les mélomanes. 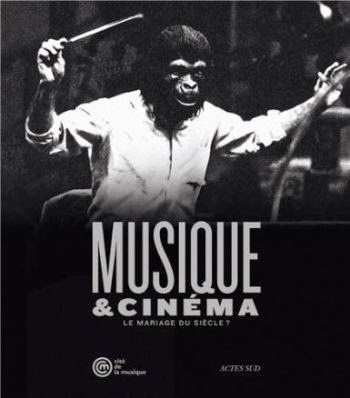 C’est le premier beau livre qui se propose d’explorer les liens unissant ces deux arts et de révéler le rôle de la musique à toutes les étapes de la vie d’un film. Si, pendant le tournage, se pose la question de “filmer la musique”, c’est à l’étape du montage que la relation entre les deux arts est la plus cruciale : au moment où se décide la composition d’un morceau original ou l’emploi de partitions préexistantes sur la bande-son. Lorsqu’un film vient à sortir, la musique joue souvent un rôle capital dans le lancement et la promotion ; à l’inverse, le cinéma a réussi populariser des musiques inconnues ou à transformer des chansons en tubes planétaires, comme Love Story, La Chanson de Lara ou Bagdad Café. Ainsi, pour analyser ces différents aspects, les textes de ce catalogue ont été confiés aux meilleurs spécialistes de la question. Plusieurs interviews inédites avec des compositeurs légendaires (Nino Rota, Lalo Schifrin), des cinéastes (Alain Resnais) ou des professionnels du son (Jean Goudier) complètent le propos. L’iconographie, spécialement riche, compte de nombreuses photographies et affiches de films, mais aussi des reproductions de partitions mythiques (Touchez pas au grisbi, À bout de souffle, Le Parrain…), de documents inédits (correspondances, dessins préparatoires, notes manuscrites), des images rarissimes d’orchestres pendant les sessions d’enregistrement pour le cinéma ou de tandems cinéastes-compositeurs au travail. Tout ce matériel est complété par des dessins originaux signés d’un artiste de story-boards pour le cinéma, par une bibliographie commentée et par un index. N T Dinh est membre du comité de rédaction de la revue Positif sous la plume de Yann Tobin, enseignant de cinéma à l'université Paris 1 Panthéon-Sorbonne, réalisateur de documentaires. Auteur, coauteur ou directeur d'ouvrages (sur Joseph Mankiewicz, Ernst Lubitsch, Ingmar Bergman, le cinéma britannique, Paris au cinéma, la direction d'acteurs, Jacques Prévert, Marcel Carné...), trois fois lauréat du Prix du syndicat de la critique française. Benoît Basirico est journaliste de cinéma spécialisé dans la musique de film. Après des études cinématographiques, il collabore à Studio magazine, puis au site web Evene, à Trois couleurs et Trax. Il dirige depuis 2005 le site Cinezik, dédié à la musique pour le cinéma, sujet sur lequel il intervient tant à la radio (France-Musique) que dans les festivals (Cannes, Angers, Aubagne, Pau...). 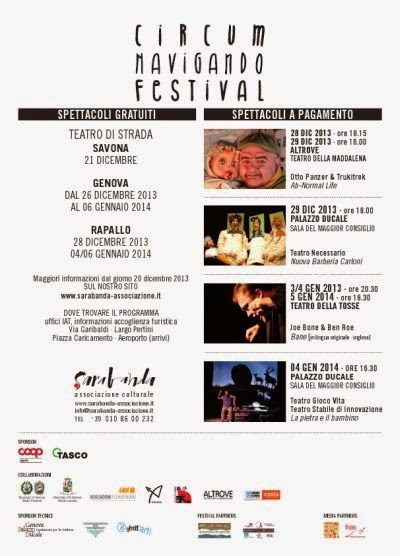 Nell'intento di riscoprire e rafforzare il legame di Sestri Levante con gli artisti che l'hanno frequentata, amata e valorizzata con la loro opera, la Città di Sestri Levante, con il patrocinio della Fondazione Italo Zetti e la collaborazione di Bianca Maria Zetti Ugolotti, nel centenario della nascita ricorda l'artista Italo Zetti proponendo due mostre ed un incontro sulla sua figura e sul suo rapporto con la città. Italo Zetti, fiorentino, dal 1937 ha vissuto a Milano, con lunghe permanenze a Casore del Monte e a Sestri Levante dove costruì tra il 1959 e il '61, con l'aiuto dell'amico architetto Mantero, una casa dedicata agli spazi ed alla luce del mare e della costa ligure. L'amore per il mare e l'interesse estetico per l'ambiente marino di Sestri Levante sono testimoniati dalla serie di xilografie “Sassi di Liguria” e di acquerelli dedicati alla Baia del Silenzio ma anche da numerosi ex – libris, tempere e schizzi. Ex – libris e opere raccontano inoltre dei rapporti di amicizia e cordialità che seppe intrattenere con molti artisti e cittadini di Sestri Levante. Ricordiamo l'amicizia e la profonda stima artistica che lo legava allo xilografo sestrese Eugenio Mario Raffo. Il rapporto con Sestri Levante non è venuto a mancare nemmeno dopo la sua scomparsa, avendo la Fondazione e Bianca Maria Zetti Ugolotti dedicato numerose attività all'opera di Italo Zetti in relazione a Sestri Levante, tra cui l'esposizione di “Sassi di Liguria” organizzata dal dott. Francesco Prete, in qualità di presidente dell'Azienda Autonoma di Soggiorno, in collaborazione con il Cral - lavoratori della FIT Ferrotubi, le pubblicazioni (Taccuini di lavoro n°14 “Buste paga d'autore E.M. Raffo” , 2008, “Italo Zetti, i colori del mare e il segreto dell'isola” ed. Gammarò, 2013) e la mostra “Lavora il mare nel mio silenzio” presso la galleria Il Vicolo di Genova, un dialogo tra “Sassi di Liguria” e le opere di Alfredo Gioventù 2006. Scrive Alberto Longatti a proposito del rapporto di Italo Zetti col lavoro: “La sua è una generazione che ha reso l'impegno professionale un presupposto di moralità, (...) credendo nel lavoro come in un personale sforzo di imprigionare il tempo. Nella xilografia non si possono cancellare le disattenzioni, mascherare l'imperizia; si esigono sincerità, sicurezza di mano, progettazione rigorosa ed esecuzione attenta”. Il 27 dicembre alle 16.00, in sala Bo si aprirà la manifestazione con un incontro per approfondire la conoscenza di Italo Zetti e la riflessione sul valore dello sguardo dell'artista su Sestri L. con la presenza di Bianca Maria Zetti Ugolotti che ha mantenuto vivo, in questi anni, il rapporto con Sestri levante ed ha dedicato l'attività della Fondazione alla divulgazione del valore artistico ed artigianale della xilografia ma anche al ricordo ed alla valorizzazione del lavoro del marito a Sestri L. con l'intreccio di rapporti personali ed artistici. Il contributo di Anty Pansera, critico d'arte e del design, conoscitrice esperta di arti applicate, legata da rapporti professionali e di amicizia a Bianca Maria Zetti Ugolotti, Alfredo Gioventù e Bruno Munari accomunati dall'attenzione e dalla passione per i sassi della spiaggia di Riva Trigoso, sarà affiancato dal direttore scientifico del Musel Fabrizio Benente, dall'artista Alfredo Gioventù e dal sindaco di Sestri L. Valentina Ghio. In mostra al terzo piano di Palazzo Fascie una collezione di ex – libris preceduti da tavole didattiche su xilografia e storia dell'ex – libris provenienti dalle esposizioni al Museo del Paesaggio di Maenza ed alla Galleria della Bibliotheca Angelica di Roma. La varietà di temi, dovuta alla committenza di bibliofili è accomunata dalla preziosità tecnica della composizione e dell'esecuzione tecnica che si potrà apprezzare anche grazie alla proiezione di ingrandimenti sullo schermo adiacente. Alberto Longotti sottolinea così la preziosità degli ex – libris di Zetti: “Astrale, dicevamo, la sensazione che emana da questi piccoli rettangoli di carta, in cui l'autore si è divertito a incorniciare quello che è già in cornice, o ad impaginare le figure con consumata perizia. E ovunque, sempre, decorativo, nel senso alto del termine: ogni sua raffigurazione è come un emblema araldico”. A sette anni dalla mostra “Lavora il mare nel mio silenzio” si presentano, alla Torre dei Doganieri con “Italo Zetti e Alfredo Gioventù _ di sasso in sasso”, gli esiti di un dialogo mai interrotto tra la ricerca di Alfredo Gioventù ed il lavoro di Italo Zetti. Vicinanza riconosciuta molti anni addietro da Bianca Maria Zetti Ugolotti che vide nell'opera di Gioventù una continuità con l'opera del marito, une sensibilità affine per il valore simbolico del sasso, per la ricerca grafica e materica “artigianale” per il bisogno di “togliere peso alla gravità della pietra”. I pensieri di Vanni Scheiwiller e Roberto Sanesi sulla ricerca di Italo Zetti riguardo i “Sassi di Liguria” ci introducono alle similitudini nel lavoro dei due artisti: “Nelle Schegge e nei Sassi di Liguria ci sono, è vero, un'essenzialità, una corposità, una razionalità geometrica esemplari: un ricercatore in perenne evoluzione, un artigiano rinascimentale partecipe insieme di avanguardia e tradizione” “Infine il ritorno a forme stabili i sassi, (…) ma sempre domina l'ansia di definire un non definibile, di togliere peso alla gravità della pietra. Zetti vi riesce non sciogliendo in materia informe il suo soggetto ma per via di trasparenza ed esattezza”. In mostra grandi xilografie a colori della serie “Sassi di Liguria” ed opere di Alfredo Gioventù dedicate al rapporto grafico e coloristico tra i sassi delle nostre spiagge. Italo Zetti nasce a Firenze nel 1913 e frequenta l'Istituto d'Arte; nel 1929 inizia l'attività professionale come xilografo e frequenta circoli artistico letterari fra cui il gruppo futurista di Thayaht. Nel 1937 si trasferisce a Milano nell'edificio di via Rugabella 9 dove vivono e lavorano molti artisti ed intellettuali quali Marini, Sinisgalli, Bottoni, Cantatore. Nel dopoguerra è tra i fondatori della rivista “La giostra” con Giorgio Strehler ed altri. Nel 1951 inizia una lunga collaborazione con la Triennale di Milano e sperimenta, in questi anni, vari settori delle arti applicate ma la sua attività preminente rimarrà sempre la xilografia. Del 1960 le prime xilo a colori, in tirature limitate su pregiate carte giapponesi. Nel 1967 inizia l'illustrazione dell'opera omnia di Macchiavelli e si allontana sempre più frequentemente da Milano prediligendo Sestri Levante e Casore del Monte. Nel 1970 inizia la serie di grandi xilo “sassi di Liguria”, tema che diventa oggetto quasi esclusivo della sua ricerca, anche nell'intensificata attività pittorica, per gli anni successivi e che presenta la prima volta alla Biennale Internazionale della Grafica di Firenze. Muore nel 1978 a Casore, lì è sepolto e lì sono conservati l'archivio, la biblioteca e le molte memorie della sua vita. Oggi la Fondazione Italo Zetti continua ad avere la sede legale e amministrativa a Milano, ma opera principalmente in due sezioni distaccate: la prima è a Parma, nello stabile della famiglia Ugolotti dove si trovano, debitamente catalogati, l’archivio di Italo Zetti e un consistente patrimonio librario e documentale su ex libris e stampe d’arte. La seconda è a Casore del Monte (Pistoia), paese d’origine della famiglia materna dell’artista, dove l’antica Cappellania, oltre a molte opere sue, ospita una raccolta di oggetti d’artigianato moderno e della civiltà contadina assemblati negli anni dai coniugi Zetti con vera passione collezionistica, tanto da meritare il nome di “Casa della xilografia e della memoria artigiana”. Lothar Fischer (1933-2004), Heimrad Prem (1934-1978), Helmut Sturm (1932-2008) et Hans Peter Zimmer (1936-1992) constituent le noyau dur du groupe et phénomène SPUR dont les protagonistes se sont unis pour différents motifs, qui - et il en est ainsi pour toutes les formations de groupe - les rassemblent pendant un certain temps pour les contraindre à se séparer ensuite. Le "groupe SPUR" a tenu huit longues années, de 1957 à 1965, sans parler des liens d'amitié qui ont perduré plus longtemps encore. C'est la formation du groupe de rock "classique" des années 60 qui sert de modèle de comparaison le plus proche pour nous aujourd'hui, car elle nous permet bien mieux de nous imaginer le train-train quotidien des répétitions, les artistes, heureux, absorbés par le flow musical, les représentations souvent improvisées et les déboires causés par les cachets retenus. Et au milieu de cette nuit qui n'en veut pas finir, le public, lui, a également sa place - en face. Quatre individus, trois peintres et un plasticien, saisissent l'initiative. Les peintres pur-sang que sont Prem et Sturm se sont épris d'amitié au début des années 50, à l'École des beaux-arts de Munich; ils ont repéré Lothar Fischer, marginal replié sur lui-même mais travailleur dans la classe de Heinrich Kirchner, et ont trouvé du renfort en 1957 avec le berlinois HP Zimmer, un intellectuel et critique rosse. Au fil des années et selon leur vision des choses, c'était en majeure partie l'interaction de ces quatre individualistes qui avait permis de toujours renouveler le groupe SPUR. Erwin Eisch, Gretel Stadler, Uwe Lausen, Jaqueline de Jong, Asger Jorn et Dieter Kunzelmann enrichissent le groupe chacun à leur manière, à différentes périodes. Prem, Sturm et Eisch étaient originaires de la forêt de Bavière. Ils avaient déjà expérimenté l'abondance débordante du baroque dans leur propre chair étant enfants. La Wiesn, la Wies, l'ensemble des oeuvres de Schongauer, Dürer et Grien étaient terrain connu. Kandinsky, le peintre des œuvres sous verre, valait comme un précurseur à prendre encore plus au sérieux. Avides de savoir, on avait vite fait de s'accorder sur ce qui pouvait encore servir dans l'art moderne: Beckmann, Klee et van Gogh avaient bien sûr leur place dans la sélection. On ne connaissait pas ce qui venait nouvellement de Paris, - à moins d'en avoir entendu parler ou de l'avoir vu en noir et blanc, et cela n'était pas considéré comme une véritable "connaissance"au sein du groupe SPUR. Encore à ses débuts, SPUR trouve un allié: Hans Platschek. Dans son livre "Neue Figurationen". De son atelier de peinture, il ouvre la voie au-delà du langage alors mondialement répandu, celui de l'abstraction. C'est le danois Asger Jorn qui devient le principal initiateur; grâce à lui, SPUR n'exposera non seulement pour la première fois à l'étranger, mais entrera également en contact avec l'Internationale Situationniste (I.S.). Ce regroupement devait donner des maîtres à penser à l'Europe pour les dix prochaines années et chasser une dernière fois le fantôme de l'avant-garde des rues métropolitaines. En 1959, SPUR devient membre de l'I.S. lors de la troisième "Conférence internationale" tenue à Munich, avant d'en être à nouveau exclue en 1962, comme de nombreux autres artistes. Les années passées au sein de l'I.S. ne munit pas seulement la "section allemande" SPUR de nombreux contacts internationaux, mais également de nouveaux moyens conceptuels. Il s'agit de l'ensemble, bien évidemment d'une critique à l'égard de la vie quotidienne et de la "construction de situations". Les artistes voyaient cela comme une chance que de pouvoir étendre de manière collective les secrets de l'imagination, les possibilités, l'"image" à travers l'échange et l'exploration pratique de son contexte. Parmi les moyens employés figurent une spontanéité forcée, de libres mouvements linéaires, la foi en la charge imaginative de l'événement couleur et espace émergeant de la "profondeur du tableau", ainsi que des allusions à des fragments de réalité. "Un bout de monde" est créé sur la toile de manière ludique, et par là une image "nouvelle" que personne n'a jamais vue, une réalité nouvelle qui répond à l'exigence d'être une vraie "chose" dans ce monde. L'exposition Une agitation vagabonde - Groupe SPUR au Musée d'art contemporain de Durbach rassemble près de 120 œuvres d'art, de nombreux documents ainsi que le film "So ein Ding muss ich auch haben" ("Moi aussi je veux un truc comme ça") réalisé par Albert Mertz en 1961. Les tableaux et objets d'art font le panorama plein de vigueur d'un groupe de jeunes artistes qui jouissaient d'une renommée internationale déjà à leur époque. La peinture du groupe SPUR, aux couleurs souvent criardes, aux multiples facettes et se célébrant toujours tel l'événement du moment, semble en interaction avec les artistes ayant accompagné le groupe de manière significative entre 1957 et 1965. Des exemples montrant une évolution parallèle dans le groupe WIR à Munich et dans la Nouvelle figuration à Karlsruhe avec HAP Grieshaber viennent compléter l'aperçu de cette époque. Une publication du même nom avec une centaine d'illustrations couleur paraîtra à l'occasion de l'exposition. Articles d'Axel Heil, Rüdiger Hurrle, Andreas Neufert et Hans Platschek entre autres aux éditions Wunderhorn, Heidelberg (environ 100 pages). Da sempre sede di eccezionali mostre dedicate ad artisti del Rinascimento quali Luca Signorelli, il Perugino, Piero della Francesca per citarne solo alcuni, sarà con la imponente mostra dell’artista italo-persiano Bizhan Bassiri che la Galleria Nazionale dell’Umbria apre le porte verso l’arte contemporanea. 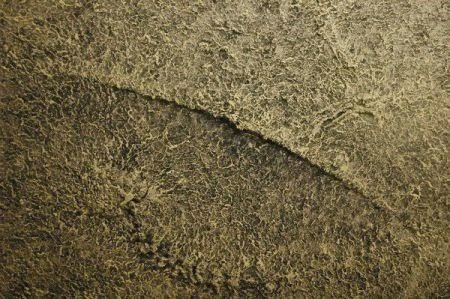 Riserva Aurea è il titolo della mostra creata da Bassiri per la Galleria Nazionale dell’Umbria e che ancora una volta significherà quella che è la tematica di fondo dell’artista. Come afferma Bassiri nel suo Manifesto “nella riserva aurea del pensiero magmatico, la luce prende corpo e il corpo si perde nella luce.” E della luce e della massa che della luce è incontrastato “alter” Bizhan Bassiri ha fatto una filosofia di vita: «l’esistenza dell’opera d’arte nel mondo è meteorite proveniente dal cosmo, non appartiene alla terra ma le appare» (Bassiri). Numerose le opere in esposizione che stupiranno in un rinnovato incontro tra luci pensieri ed emozioni; e tante le novità di una mostra che sarà performance e molto altro. Bruno Corà, uno di maggiori conoscitori dell’opera del maestro Bassiri, scrive della Mostra: <> Dopo l’importante mostra tematica “La caduta delle meteoriti” realizzata nel Museo Archeologico di Venezia nel 2011, dove l’opera di Bassiri si è resa dialettica con importanti esempi di scultura greca classica ed ellenistica, questo nuovo episodio nella Galleria Nazionale dell’Umbria, a cura del Soprintendente Fabio De Chirico e di Bruno Corà, sancisce con incisiva efficacia la qualità di una esperienza plastica tra le più significative in Italia e in Europa. Un eccezionale Comitato d’Onore ed un altrettanto eccezionale Comitato Scientifico a supporto della grandiosa Mostra del Maestro Bassiri. Bizhan Bassiri è nato nel 1954, di origini persiane, giunge a Roma nel 1975. Comincia a esporre nel 1981 partecipando a mostre personali e collettive. Dal 1995 realizza interventi permanenti. La ricerca artistica di Bizhan Bassiri inizia con l’utilizzo di materiali diversi: superfici di cartapesta e di acciaio e bronzo, elementi lavici, elaborazioni fotografiche. E’ autore del pensiero magmatico (1984), manifesto del Pensiero Magmatico (1986) nonché e di conseguenza autore della Caduta delle Meteoriti. 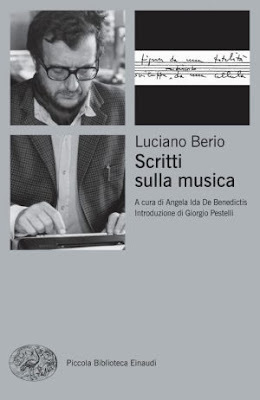 collana "Piccola biblioteca Einaudi Ns"
A dieci anni dalla morte di Luciano Berio vede la luce la raccolta pressoché completa dei suoi scritti editi e inediti. Inquadrati in un ambito cronologico compreso fra il 1952 e il 2003, questi testi accompagnano il lettore nella vastità degli interessi e dei coinvolgimenti umani e artistici che abitavano le riflessioni di uno dei più importanti e poliedrici compositori della contemporaneità. Nelle quattro ampie sezioni del volume si alternano conferenze e relazioni tenute a convegni o presso prestigiose istituzioni internazionali (tra queste, due lezioni a Harvard del 1967, finora inedite); saggi e articoli eterogenei per respiro e temi trattati, che abbracciano con pari curiosità intellettuale e responsabilità etica la musica propria e altrui, il lavoro nello Studio elettronico, il teatro, il rock, la musica popolare e tanto altro ancora; note di sala, voci enciclopediche, ricordi e omaggi a "compagni di strada" (anche lontani nel tempo o dalla propria arte), profili di musicisti, pittori o scrittori da festeggiare o commemorare, reazioni polemiche alimentate da letture o dibattiti e altre testimonianze sollecitate dai temi più diversi. L'insieme di questi "Scritti sulla musica" offre per la prima volta una panoramica esaustiva e articolata di un pensiero, sempre critico e lucido, in cui un prisma di problematiche legate al fare musica convive, nutrendosene, con stimoli tra i più diversificati... Introduzione di Giorgio Pestelli. 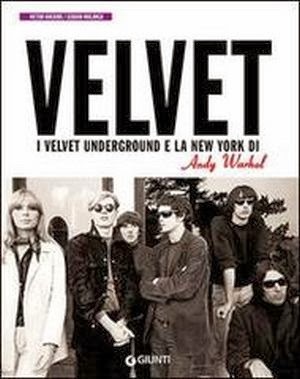 La "storia" dei Velvet Underground. "I dischi dei Velvet Underground sono la storia delle persone che vi hanno suonato, il documento di una crescita di vita e non solo di musica: fra l'inizio e la fine, ci sono decine di storie e di esperienze. Tutte le canzoni stabiliscono un collegamento, per non far sentire solo chi ascolta. Io penso che sia importante che la gente non si senta sola." (Lou Reed) Una monografia curata, corredata da immagini, interviste, conversazioni informali con i protagonisti e con i comprimari che da sempre orbitano attorno alla storia di uno dei gruppi più interessanti nel mondo della musica contemporanea. La focaccia genovese è unica nel suo genere. Per i liguri è una compagna di vita: dalle prime merende di bambini alle colazioni quotidiane. Era uno degli spuntini preferiti per i numerosi lavoratori che in passato affollavano il porto e la città di Genova. 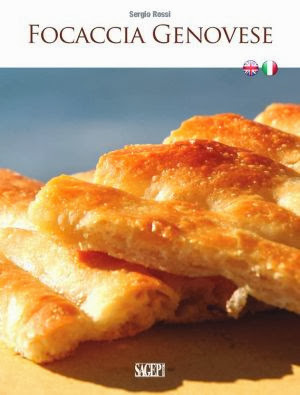 Ricca di buon olio d’oliva extravergine ligure, croccante in superficie e morbida all’interno, la focaccia è un simbolo gastronomico regionale. Sergio Rossi si occupa di storia della cucina, produzioni alimentari e promozione territoriale. Già direttore del Conservatorio delle Cucine Mediterranee di Genova, è ideatore ed autore del sito civiltaforchetta.it e curatore dell’Archivio per la storia dell’alimentazione Giovanni Rebora. Con “Mostri. 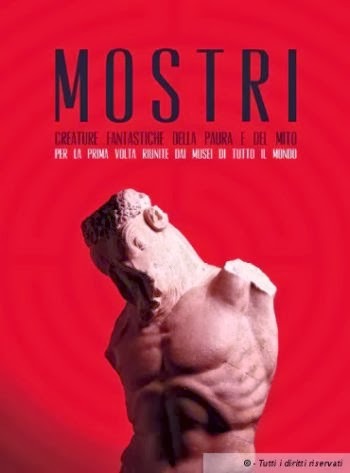 Creature fantastiche della paura e del mito”, torna una grande mostra al Museo Nazionale Romano in Palazzo Massimo, dopo il percorso di rinnovamento degli allestimenti delle collezioni permanenti perseguito negli ultimi anni. L’esposizione, attraverso più di cento reperti archeologici, indaga i miti della tradizione classica che hanno influenzato l’arte moderna e contemporanea, e il cinema in particolar modo. In continuità con l’evento del 2011, intitolato “Usciamo a riveder le stelle”, sul tema della scultura ideale raffigurante gli dei e gli eroi, quest’anno si approfondisce l’aspetto complementare: per ogni eroe c’è sempre un mostro da affrontare, simbolo dei lati oscuri dell’animo umano. L’allestimento si ispira a un labirinto, la forma più antica del viaggio iniziatico che ogni eroe deve affrontare per accedere a una consapevolezza superiore. Straordinari prestiti dai musei di tutto il mondo - Atene, Berlino, Basilea, Vienna, Los Angeles e New York - cui si aggiungono i prestigiosi reperti giunti da numerose collezioni di archeologia di musei italiani, consentono di restituire un ampio panorama dell’iconografia delle creature fantastiche presenti nelle culture antiche. Grifi, Chimere, Gorgoni, Centauri, Sirene, Satiri, Arpie, Sfinge, Minotauro, Tritone, Pegaso, Scilla e l’Idra di Lerna sono rappresentati su oggetti di tipologie diverse: sculture, terrecotte architettoniche, vasellame, armi, affreschi e mosaici di diversi ambiti culturali e cronologici, dall’Oriente alla Grecia al mondo etrusco, italico e romano. L’esposizione, promossa dalla Soprintendenza Speciale per i Beni Archeologici di Roma in collaborazione con Electa, è curata da Rita Paris, direttore del Museo Nazionale Romano in Palazzo Massimo, ed Elisabetta Setari. I mostri degli antichi racconti, al pari degli dèi, costituiscono da sempre un termine di confronto per gli esseri umani, lungo un percorso che ha permesso all’uomo di costruire la propria identità. Da questa riflessione prende spunto la mostra, che affronta per aree tematiche l’iconografia di ciascun tipo di creatura fantastica e ne illustra l’evoluzione nel corso del tempo. A riprova dell’inesauribile fonte d’ispirazione rappresentata nel tempo da queste creature, insieme ai reperti archeologici sono esposte tre tele: di Alberto Savinio Creta, dalla Galleria nazionale d’arte moderna di Roma, il cui soggetto è un minotauro con testa di giraffa; lo splendido olio Medusa, di anonimo fiammingo della prima metà del XVII secolo proveniente dalla Galleria degli Uffizi, un tempo attribuito a Leonardo da Vinci, e, dalla Pinacoteca Nazionale di Bologna, la tela del Cavalier d’Arpino Perseo libera Andromeda, con una pregiata rappresentazione di Pegaso. Artistes : Ioana Batranu, Dan Beudean, Mihuț Boșcu Kafchin, Geta Bratescu, Simon Cantemir Hausi, Oana Farcas, Adrian Ghenie, Ion Grigorescu, Ciprian Muresan, Sergiu Toma, Mircea Suciu, Serban Savu, Bogdan Vladuta. Scènes Roumaines poursuit le cycle d'expositions initié dès la création de l'Espace culturel Louis Vuitton en 2006 qui explore la scène artistique contemporaine d’un pays étranger. Cette année, l'Espace culturel choisit de montrer les expérimentations artistiques d’un pays qui n'a jamais cessé d'être une terre de création : la Roumanie. Expérimentaux et confidentiels pendant les années d'oppression politique, les artistes roumains ont rapidement affirmé leur identité en se projetant sur la scène internationale. Leur présence est aujourd’hui remarquée de Berlin à Londres et de New York à Paris. Entre sphère publique et introspection, ils ont su rester libres et garder leur spécificité. Sans préjugés, l’Espace culturel Louis Vuitton est parti à Bucarest et à Cluj à la rencontre de femmes et d’hommes qui révèlent un nouvel état de la peinture. Certaines figures marquantes de la scène artistique de ces quarante dernières années se trouvent réunies dans une sélection où passé et futur se côtoient naturellement et où l’image est prédominante. Les peintures d’hier, symboles de la résistance à l’oppression de la dictature, sont autant d’images réinventées qui, malgré une mondialisation exacerbée, conservent une très grande force. A Bucarest, les artistes historiques ont gardé des années sombres une véritable vivacité créatrice, qui s’est transmise à leurs successeurs. Geta Bratescu, figure majeure de l’art roumain d’après-guerre, évoque le voyage à travers une série de dessins conçus sur un principe d’écriture automatique. Ion Grigorescu témoigne en photos et en dessins du souvenir d’une époque révolue. Ioana Batranu peint des intérieurs désertés laissant deviner la splendeur paradoxale d’un passé chargé. Bogdan Vladuta, artiste de la nouvelle génération, crée des univers urbains presque monochromatiques où s’expriment un sorte de mysticisme impalpable. A Cluj, la jeune génération s’empare des techniques de peinture académique et les emporte au-delà des frontières attendues, là où l’hyperréalisme convie à l’onirique. Dan Beudean transforme à la mine graphite les personnages mythiques de ses oeuvres en icônes. Mihuț Boșcu Kafchin crée un univers pléthorique où la réalité plonge dans la science-fiction. Simon Cantemir Hausi brouille les pistes de ses portraits et de ses paysages jusqu’à la quasi abstraction. Oana Farcas envahit la douceur des traits qu’elle peint dans une lumière presque surnaturelle. Ciprian Muresan s’approprie des oeuvres littéraires à travers le dessin pour entamer une réflexion sur l’histoire récente de la Roumanie. Sergiu Toma emporte son spectateur dans un voyage nostalgique et mystérieux, riche en symboles fantasmagoriques. Serban Savu peint l’apparente banalité de la société roumaine qu’il scrute de la fenêtre de son atelier. Mircea Suciu enrobe sa critique sociale dans un univers loufoque et subversif. Enfin, Adrian Ghenie explore par le portrait les incontournables questions du pouvoir et de l’oppression tout en se jouant des clichés de l’histoire du divertissement. En somme, il n’y a pas d’École de Cluj, mais un vivier d’artistes qui ont su affirmer leur identité et l’originalité de leur style. Leur création est le fruit d’un va-et-vient entre l’intérieur (l’être) et l’extérieur (le monde) dans un équilibre qui préserve la force et la vigueur de l’auteur. Image: Mircea Sociu, Leading the blind, 2013 Oil, acryl, toner, charcoal, ink on canvas — 196 × 233 cm., collection privée.